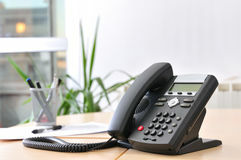 With all of our hardware and software solutions, we want to provide our customer with best solution to fit their needs. If you prefer not to store anything On Premise at your company, you have the option of storing your data in the Cloud or working in a Hybrid environment which allow for your data to exist On Premise and in the Cloud. Office 365 gives you the option to lease your office products on a monthly or annual basis. This option allows you to reduce your overall cost for licensing. Office 365 which includes, but it not limited to, your Microsoft Office, Hosted Email, Skype for Business, One Drive, and SharePoint. Office 365 includes the benefits of having the latest versions of your Office applications across all devices - PC/Mac, tablet or phone. Also included is the ability to store, sync and share your files online so they are always up to date. There is a plethora of additional services included with Office 365 as well, such as voice/video communications and conferencing, instant messaging, and file storage and sharing, to name a few. 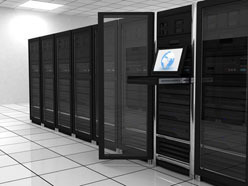 If you don’t want any of your data stored On Premise or if you want an Hybrid solution, we can store your data or you can run your servers in one of our Tier 1 or Tier 2 datacenters. This allows you to access your data from anywhere. You can run your applications from a computer, thin client, or smart device. This solution is great for customers that have multiple locations, but don’t want one location going down to affect another. You can run all your applications and access all your data that you would run On Premise. For customers that access their data fully in the cloud, fiber connectivity or redundant internet connections are a must. Web-hosted software or software-as-a-service provides you with a new way to get business software and applications at a predictable cost without significant up-front investment. Rather than purchasing hardware and software to run your business applications on premises, software-as-a-service delivery enables you to license software, delivered over the Internet, from a hosting provider for a monthly fee. You essentially rent the software, and your hosting provider takes care of ongoing upgrades, maintenance, security, and any other IT headaches. 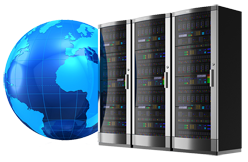 We can provide reliable hosting for your Internet, Extranet, Intranet, and E-Commerce web sites. Will your website stay up during the next storm and/or power outage? 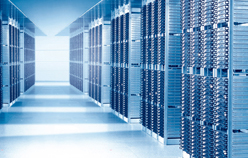 Host your site in one of our datacenters which have redundant power and internet connections. This technology years ago was only affordable for the largest of companies with multiple locations. We can integrate this technology in your telecommunication systems connecting locations over dedicated lines and broadband connections. You will achieve greater efficiency by reducing communication costs, staff, and centralized management of communication systems. Ask us how this technology can benefit your company.